What can I say? This is another one of my all-time favorite foods. I find myself making a big batch of this fairly often. Sometimes, I have this for lunch. 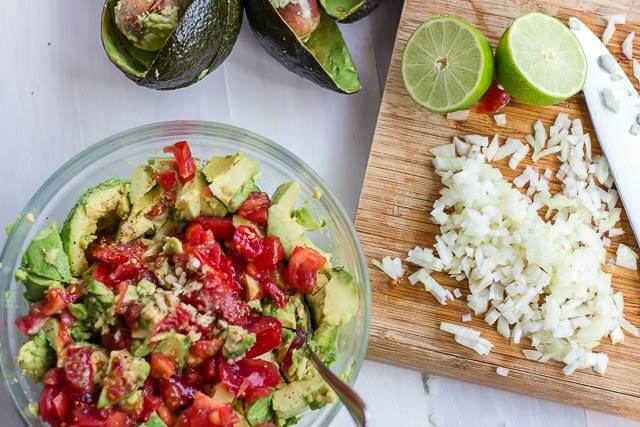 It also makes an amazing topping for omelets, salads, or nachos for your Superbowl Party. Healthy too! Guilt-free and delish? Sign me up!! When I lived in NJ, there was a nearby small family-run Mexican restaurant that had fabulous guacamole. And, it was cheap. It was amazingly fresh and super chunky, not like the over-processed stuff that you find in the supermarket. With that guacamole in mind, I set out to recreate it. This recipe is fairly simple and includes the usual ingredients but I think the difference is that it is not overmixed. 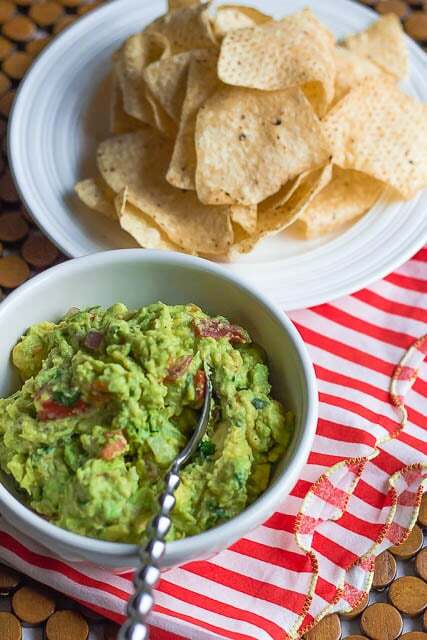 I like to use 6 nice sized avocados so the dip lasts longer than one day:) And, I like the ingredients to complement the avocado but not overpower them in any way, a perfect balance. 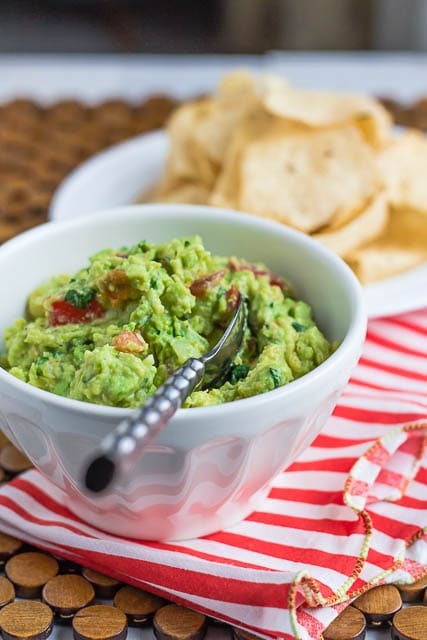 Some tricks I’ve read about for preventing the guacamole from darkening/oxidizing: save the pits and put a few in your dip and/or place plastic wrap directly on top of the dip. I’ve also read that putting a layer of sour cream on top of the dip will help, but I’ve never tried it. I’ve had the most luck with putting plastic wrap right on top of the dip. Looks fantastic.. 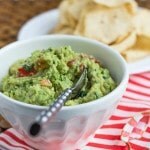 I love guacamole !!! and I love avocados.. especially with cream cheese and smoked salmon!